Sears also manufactured and sold the small caste iron machines used to make these blocks. The machines and the block were promoted by Sears as a low cost alternative to natural stone and brick. They touted the insulating properties, safety in that is was fireproof, and its decorative appeal. 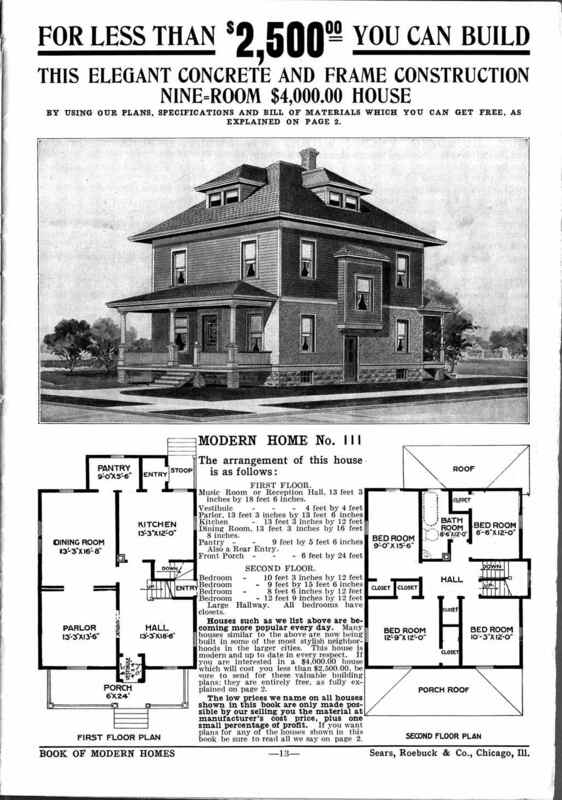 Sears marketed these machines not only to builders, but to individual home owners as well, stating that no professional experience was necessary to use their machine. Here is a great picture, not too far from us here in Fort Wayne, Indiana, showing a builder who made his own rock face blocks using a Sears “Wizard” block machine.